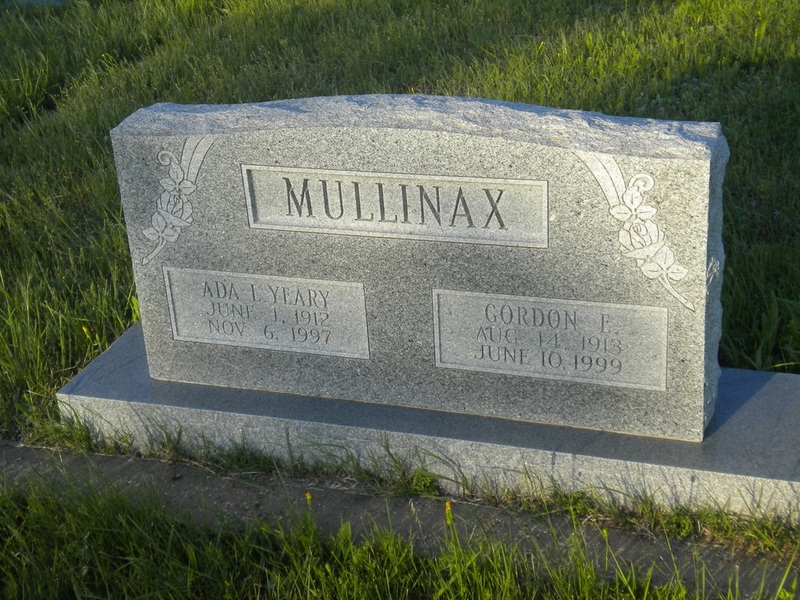 _ Gordon Eugene Mullinax was the son of Clarence Olen Mullinax and Ivy Jewel Williams Mullinax. He was born on August 15, 1913. Clarence and Ivy had received a divorce decree on April 1, 1913. Ivy married again, to Luther Clyde Hambleton, and gave birth Ivy Clyde Hambleton, a half sister to Gordon. Ivy Clyde lived to be about three years old. Gordon could barely remember her. Gordon was raised by his maternal grandparents, Mr. Jeff Williams and Mrs.
Trecie Williams. In the 1920 census, they have a boarding house with four boarders on Austin Avenue in Weatherford, TX. Their son, Jeffie, was 15 and Gordon was 6. Neither had attended school since 1 Sept 1919. Gordon's first marriage was to Florence Gertrude Keith. They had one daughter: Florence Llewellyn (b. 3 May 1933 d. 1 May 1999). Llewellyn was raised by her maternal grandparents until her grandmother died. Then she lived with Gordon and Ada for a number of years. The last years of her life she had a job and lived independently. Gordon's second marriage was to Ada Lorraine Yeary. She was born 1 June 1911 and died in Nov 1997. She had a son named Earl from a previous marriage. 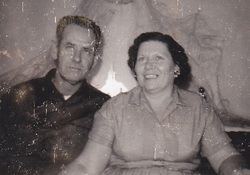 Gordon and Ada had one daughter, Nelda Jean, who married Earl Lanier. Ada's son, Earl, married and had two children, Margaret and Larry. When the couple divorced, Margaret was placed in the Methodist's Children Home. Larry was in a very fragile condition and would have needed more attention than they could give him in the Home, so Ada and Gordon took him into their home and Gordon eventually adopted his step grandson. Larry married Charlene and lives in Perryton, TX. For a number of years, Gordon drove a city bus in Fort Worth. He had many stories, but my favorite was of the man who rode fairly often and carried only a $20,00 bill. Gordon would not have change and he got to ride free several times. However, Gordon was displeased with this situation, so he went to the bank and go change. It was several days before the man appeared to ride, and brought out his $20.00 bill. Gordon handed him $19.90 in dimes. He never tried that trick again. One time Gordon's bus was involved in a wreck. More people wrote letters to his employer testifying how appropriately he handled the situation than had been on the bus. Gordon worked for a time at the Allied Van Lines Warehouse. One morning an elderly man said to him, "Good morning, Mr. Mullinax." Since they had never met, Gordon asked him how he knew his name. The man replied that he was originally from Dalton where the Mullinax’s moved from. He said, "You look, walk, and talk like all the Mullinax’s I knew back home." Later Gordon drove a long-distance moving van for Allied. His trips would last 5 or 6 weeks and he would return wanting good home cooking. Ada had been home snacking all that time, and all she wanted was to eat out. Gordon was a strong man with a broad chest. As he loaded and unloaded households of furniture, he became even stronger. One fall, in preparation for the general election, Gordon and a crew were hired to move voting booths. These machines were tall, rather like a closet, with a fabric door. Gordon estimated that one weighed 500 lbs. As they started to unload one, the ramp on one side fell. The booth was ready to fall on his co-worker. Gordon just leaned back and held on to the strap until the ramp could be adjusted. This is when he injured his back, which led to back surgery, but he was never able to walk without a limp again. Gordon and Ada lived on East Cummings Drive, North Richland Hills. After Ada's death, Gordon was in a nursing home briefly. He died on 10 June 1999. Both are buried in the Clark Cemetery, Parker County, Texas.